Did you know that Snapchat, Instagram, and DropBox did not even need a workstation to begin with? It all started with an idea and Cloud. With Cloud, you no longer need weeks to build an application; it now takes a few minutes to turn a concept into a running system. The Cloud Application Developer course prepares learners to develop applications on a hybrid cloud development platform. 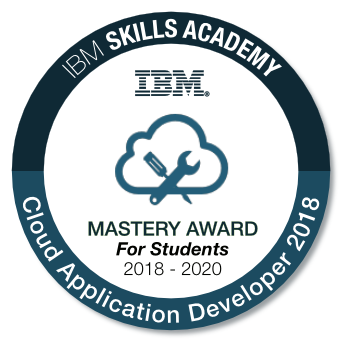 This will require skills in application development frameworks on Cloud such as Node.js, REST architecture, JSON, Cloud Foundry and DevOps services. The Cloud Application Developer will use tools to build, run, deploy and manage applications on Cloud.